One of the things I would love to cross off of my bucket list is to see the Aurora Borealis or the Northern Lights. It’s a beautiful phenomenon that occurs naturally when charged particles collide in the atmosphere. I’m not so familiar or well-versed with the science behind it, but I think you can see how beautifully the Auroras light up the sky. In Norse mythology, it is believed that the lights are caused by the Valkyrior’s armor. These were also believed to be caused by glaciers storing so much energy, they turn fluorescent. 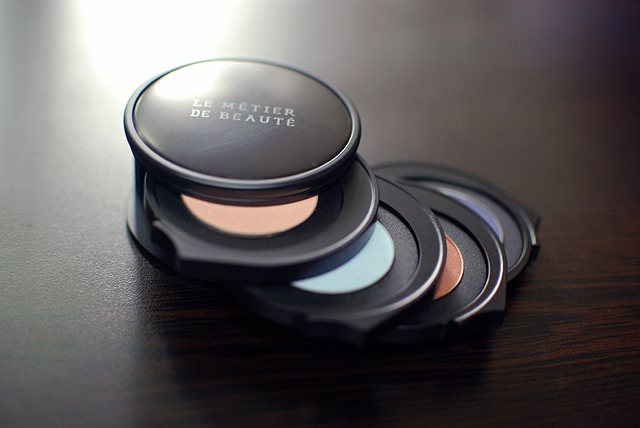 Le Métier de Beauté has culled inspiration from this natural wonder and made it into an eye kit. If you’re not familiar with Kaleidoscope Eye Kits, they are 4-tiered shadows with colors that are meant to be layered one on top of the other, from the top shadow to the bottom. This method is called the couche de couleur and it is meant to bring about the ultimate contrast to the wearer’s eye. Northern Lights brings together Ionic (pale pink), Sky (pale, powder blue), Magnetic (rusty terracotta orange), and Equinox (muted deep purple) in the order of warm, cool, hot, cold. The idea is that while you can use them individually or however way you’d like, they look best when layered top to bottom. 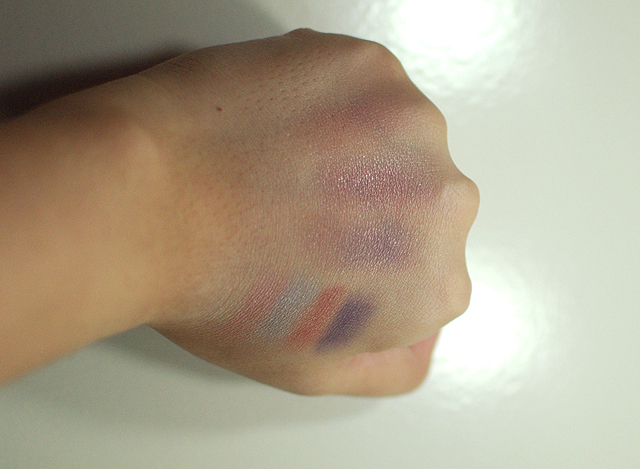 Now, I’ll be honest and reveal that I was slightly disappointed when I swatched these for the first time. From the buzz that’s going around online, I expected a hyper-pigmented bunch of shadows and I got what I felt was a sheer wash from the first two shades. When I went online to look for reviews on this particular set, Xiao of Messy Wands said that her Northern Lights Kaleidoscope gave a bit more subtle effect than her other ones (and she has a lot). 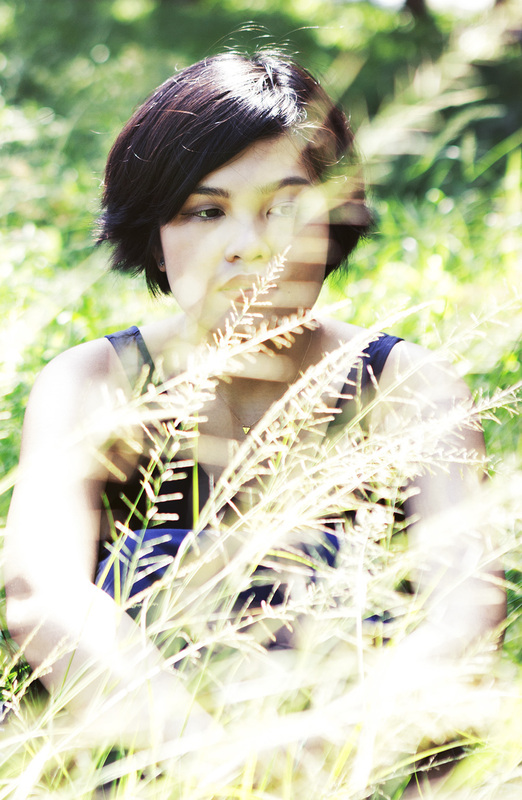 Emilie of Cogitation Project told me that it probably wasn’t the best first eye kit to own. My heart was crushed. Talk about subtle! My already crushed heart cracked a little more. Until I thought about it and realized—well, what’s wrong with subtle? I layered the first three colors and used the fourth, Equinox, as a very soft, quite thick liner. Looking at it some more, I have to say that I love that freaking gradient. Anyway. Honestly & quite truthfully, I learned to love my Kaleidoscope and I’ve used it about five to six times since receiving it. I know I say this a lot when I talk about expensive products, and it looks like it’s my go-to excuse for buying high-end makeup, but I really value versatility. It makes me feel like the variety of looks I can achieve with this product makes it worth the money I spent on it. I think Northern Lights has a good variety of shades I can mix and match and layer. I can wear this how I normally wear my eye makeup (lightest shade on the crease, darker shades on the outer ‘v’ and the crease), or use each pan as a wash over the lid and call it a day. While Musing on Beauty was not a fan of this product, she did say that trying the couche de couleurs technique with some shadows she already owned was not very effective, so that’s something that’s different about the LMdB shadows themselves. At the end of the day, each shade had a beautiful, smooth texture and yielded decent pigmentation with a bit of coaxing. I like that the shade selection seems to be a wild mix, though as you can see, they come together quite harmoniously. Even when you use all shades at once. I find that the packaging, apart from the shadows, is great for traveling (when you flip the top up, there’s a mirror that’s a useful size). It’s a handy size, but each pan contains a lot of product. VERDICT: Velvety smooth shadows, with a selection that offers a subtle contrasting effect. I liked this so much, I bought another kit. Will I repurchase? I would pick a different color. Where to buy? Nordstrom, Neiman Marcus, or Zuneta for international orders. Carina! Looks good on you! Suits well with the lip color you’re wearing. Ang Ganda promise. This palette was perfectly named! I love the look, I would never put that together myself. The effect is truly lovely. Your always introducing me to so many gorgeous products! Thank you, Taylor! And you as well. Dropping by Becca one of these days. Wish the L’Oreal lip products you recently sampled were available here! I’ve never tried anything from Le Metier – do you highly recommend them? This color palette probably wouldn’t work the best on me – but I friggin’ love the packaging! I would definitely recommend them as they are of excellent quality, but yeah, this isn’t the best palette to try first just because the effect is a bit more subtle. I picked up another kaleidoscope (Silk Road), so I can’t wait to test that out. Their singles are (reportedly!) good, too! I totally understand how you feel- I also buy a lot of makeup online and if I spend money on high end products I expect decent pigmentation. The colours look beautiful on your eyes though. Right? I don’t know if that’s something that applies to everything, because some shades may be sheer on purpose? But I want my pigment, dammit!